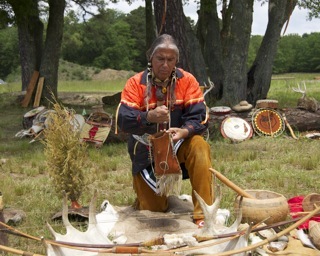 Greg Vizzi has collaborated with Richard “Quiet Thunder” Gilbert to produce a book about the Lenni Lenape Indians. It's called: The Original People, The Story of The Lenape Indians. The Lenape's were one of the first Indian tribes to make contact with the Europeans. The Treaty of Peace and Brotherhood was made between William Penn and the Lenape Indians. This was a verbal treaty and the first one between the colonists and the Indians in North America. Quiet Thunder is a Native American elder from Woodbury, New Jersey and a chief of the Lenni Lenape tribe. He is a traditional Indian, but happy to share his culture with audiences of all ages. He gives many presentations in the schools and other venues for the general public. The Original People is based on many hours of video and audio interviews, recorded conversations and stories by the chief. The book is written for the most part, in his own words and point of view. He speaks about the Lenape Indian culture and traditions. He tells personal stories of his life growing up and how he became an educator, teaching people about his culture and traditions. He brings dozens of hand-crafted cultural items to his programs and if you attend you may get to hold a stone ax, arrow or bone knife made by the chief. Quiet Thunder infuses his talks with colorful scenes from the past as he takes you on a journey to America before European contact. His audiences are often held spellbound by his stories. His classroom presentations are very "hands on" for the children. He engages the very young by giving them drums and rattles to play and puts animal skins on the "hunters" as if they are members of the tribe. 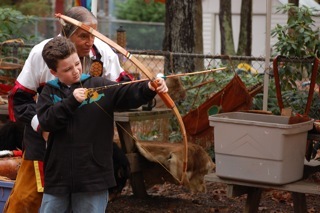 “I am fortunate to know many of the traditional ways of the Lenni-Lenape. The name Lenni-Lenape means “Original People.” For many years I have talked to groups in schools, churches, parks and other public settings. I decided I wanted to get down in writing the stories and history that I’ve shared verbally over the years. My original goal was to pass on to my children and grandchildren the important spiritual beliefs of their ancestors and help them remember me. If I can also help other people gain a better understanding of the native people of North America, then this book will exceed my goals. Mother Earth is the giver of life and the protector of the spirit after life, for all people, not just the Indian people. We have a sacred obligation to protect the earth, and to learn to live in harmony with the earth. The Indian people of North America were forced to give up their religion and way of life for many years, to the point where much has been lost. I developed my beliefs through time spent in the wild, talking to elders and maintaining the traditional ways. Beyond giving my children something to hold onto when I am gone, I want to help keep traditional Indian spirituality alive by teaching Indians who have lost touch with the past, and non-Indians who can use these ideas to strengthen their own lives in the modern world. 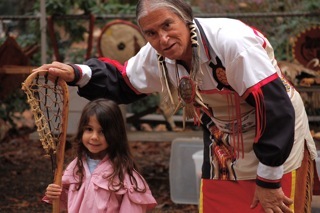 The Lenape believed that each person makes their own connection and establishes their own spiritual beliefs, using the beliefs of their ancestors as a starting point. the Atlantic City Lighthouse on November 14, 2010. 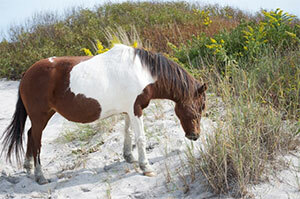 “Like many kids growing up in the nineteen fifties and sixties, I spent a lot of my time outdoors. As an outdoors kid, I wandered the backwoods, fields and streams of Southern New Jersey. I canoed and camped in the Pine Barrens, the largest wilderness area on the east coast. In my explorations, I discovered a mystery: I found arrowheads, spearheads and other primitive tools, as well as broken pottery, evidence of an ancient people. I wondered who they were, how they lived and what happened to them. I think it was in 1986 when I first attended the Columbus Day Festival at the Rankokus Indian Reservation near Mt. Holly, New Jersey. Richard “Quiet Thunder” Gilbert, a Lenape Indian was giving a presentation. He had reconstructed a village setting in a field along a wooded area. His display consisted of many animal pelts stretched on wood frames with dozens of beautiful bone and stone tools, painted drums and other handcrafted items he had made. Behind him was a wooden canoe he had carved from the trunk of a tree. Growing up, my heroes were the American Indians: master woodsmen who lived as free men and called the wilderness their home. We all assumed the Lenape Indians were long gone, and I was excited to realize that there before me was a living Lenape Indian who was born and raised in New Jersey not far from where I grew up! His ancestors made the very artifacts I had found in my explorations. He gestured and spoke in a soft, relaxed tone. As I listened to his stories, answers to those questions from my youth began to unfold. We have kept in touch over the years and became good friends. The peace-loving Lenape people had a unique culture and lifestyle because of the geographical conditions around them and thrived in ancient times in our most densely populated state and surrounding areas." “Quiet Thunder has kept the original beliefs of his people and has not sacrificed his heritage to peer pressure. The message of his people comes at you straight from his heart. In his own words he “prefers not to dwell on the murky past” but rather to explain and perhaps dispel centuries of misconceptions about their customs, culture and religion. The idea for this book first came from Marcia Adams, a historian from Delaware who recorded and transcribed some stories from Quiet Thunder. After beginning the project, she was called to other commitments, so I continued the project. I believe strongly that this is an important story to be shared and feel priveliged to bring it to a wider audience and the world at large. I have transcribed and compiled well over a hundred hours of the spoken recordings of the chief, and with great care, converted his spoken word to the written page, preserving his voice. The manuscript has been carefully reviewed and approved by the chief. This project has been over seven years in the making, and has resulted in two books about the Lenape Indians: The Original People, and The Seventh Generation. There are many topics covered, some of which are listed below. Childhood experiences. Learning to fish, trap and hunt to put food on the table. A short overview of Lenape and Indian culture. Learning patience as a boy and observations of nature. The balance of nature. Learning to track and stalk. Fishing and hunting stories. Traditional village life. Seasons and Ceremonies. Religious beliefs. Trade. Tribal stories. Teaching beyond the tribe. A fun way to teach. Oral history and storytelling. The importance of teachers. Universal tribal laws. Bringing the eagle back. Indians' relationship to the land. Our power to destroy or protect. Chapter 7: What’s In The Future? Life as it was in the past. The importance of water. Keeping traditional ways. Protecting the earth. The Original People was published as an ebook for kindle on November 29, 2014. The illustrated print version will be published in the near future. A percentage of book royalties will be donated to the Children of The Earth Foundation and the Wilderness Awareness School. Please sign up for our free newsletter to receive book notifications and updates, interesting articles about nature and free photos. Thanks for your interest!